Hello! Welcome to my new blog. My Tumblr has turned into just a portfolio of things I’ve written, so A City Summer will let me express myself directly. And what better way to start it off than to show you a few things I’ve produced today? I don’t really have the funds to buy gifts for everyone, so I make gifts every year. Whenever I see recycled items in gift shops, I think, “Oh, well I can do that.” But then I never do. 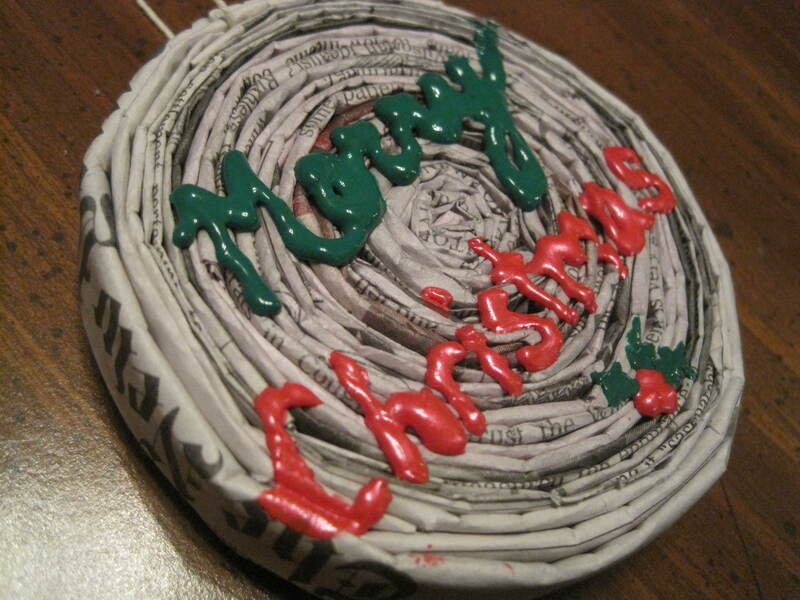 I’ve seen coasters made from newspapers, wallets made from magazines and tote bags made from gum wrappers. 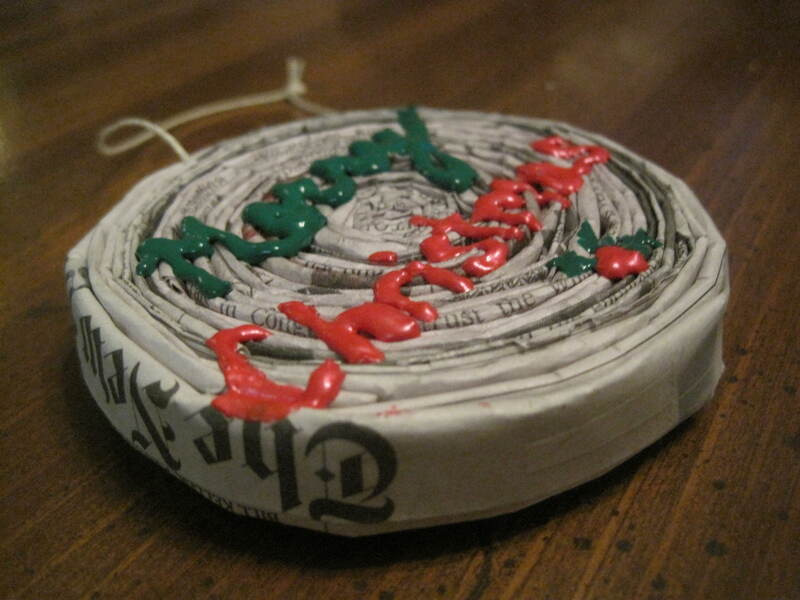 After seeing some newspaper potholders in Ten Thousand Villages, I decided to make one out of the Op-Ed section of The New York Times. (Check out this clock and candy dish from TTV.) It’s a lot harder than I thought. I settled for this ornament for my grandma. I took some fabric paint and decorated it a little. Nevermind the smeared “C.” People make mistakes, ok?! I’d like to make a set of coasters next. 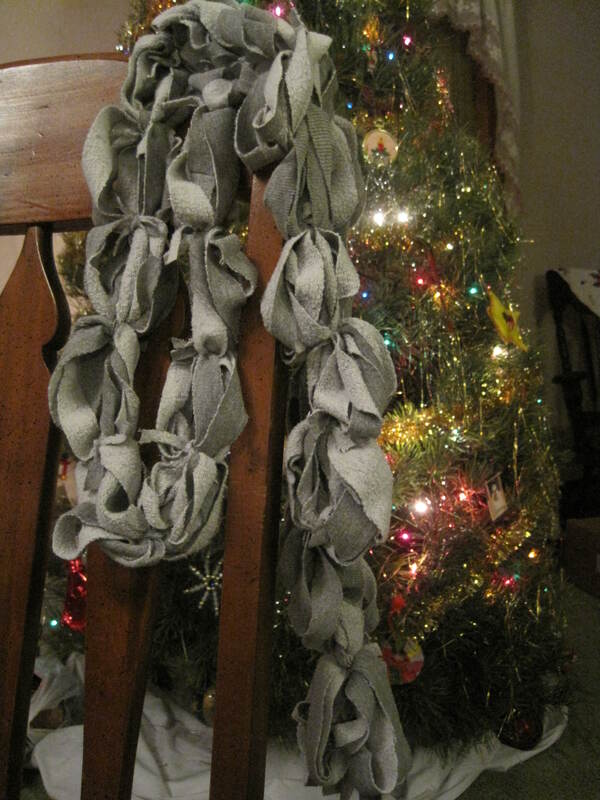 The idea for this scarf came from my friend Amanda’s blog. Instead of using T-shirts like she did, I used an old sweatshirt. All you have to do is cut rings from the sweatshirt, twirl them together and tie the rings together with more fabric. I’ll give this to a friend and maybe make some more. Here’s where I found step-by-step instructions. 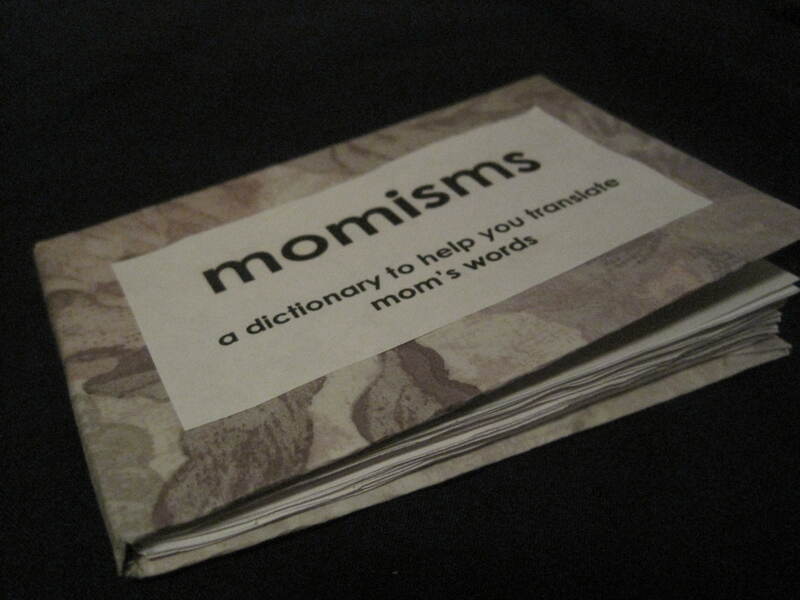 For my mom, I made this dictionary. She says a lot of weird things, so if you’re not one of the four Lindner’s, you probably don’t know what she means. For each word, I included a definition and sentence with its usage.